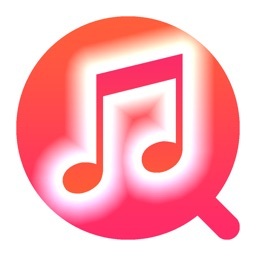 Rank and track your Apple Music and iTunes listening habits by song, artist, genre and more! 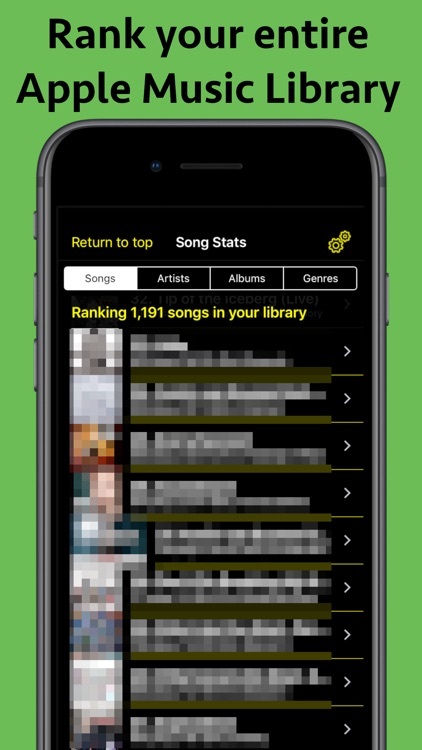 • Rank your entire library by play counts, time listened, or skips. 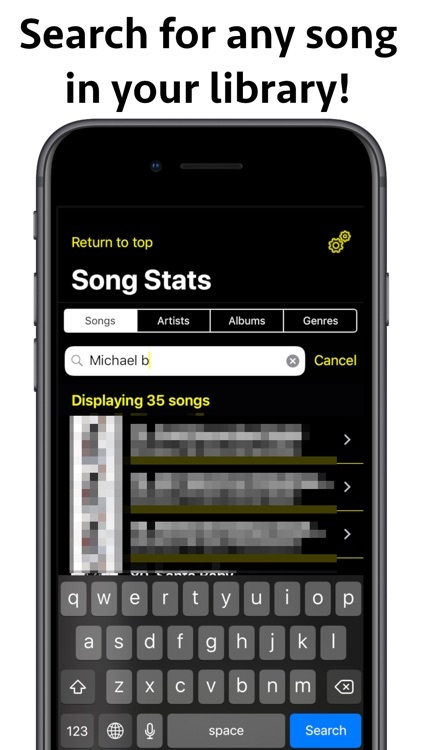 • Search for stats on any song, artist, album, or genre in your library. 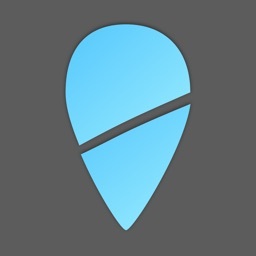 • Filter your library by song location: iCloud Music Library, on your device, or both. 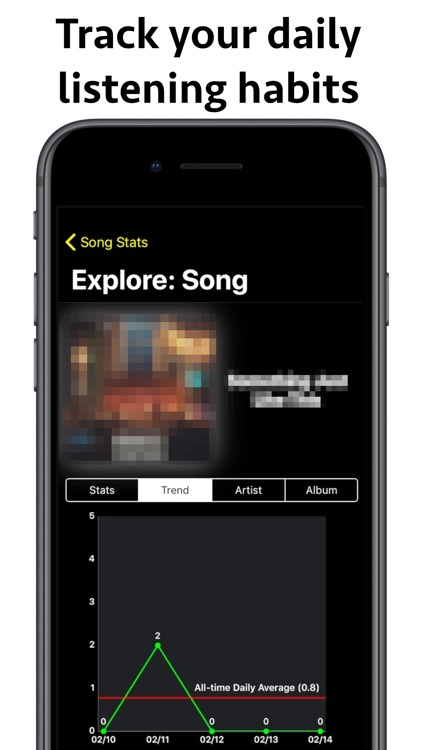 • Select a song or artist to see detailed stats in “Explore” mode. 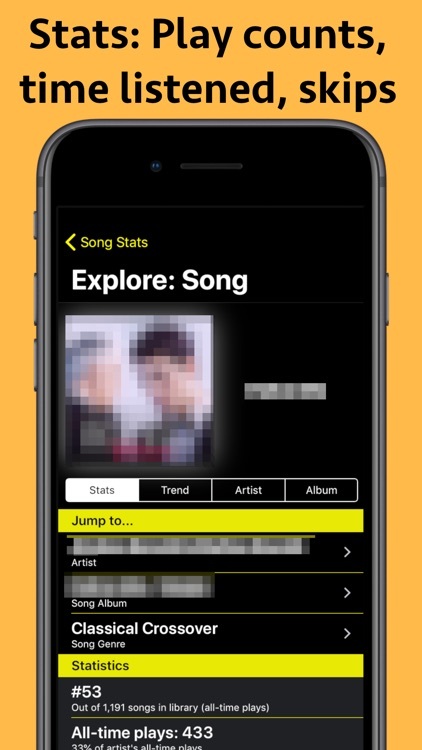 You can also quickly find related content, such as stats for other albums from the artist you’re viewing. • Filter your stats for the last week, month, or year. 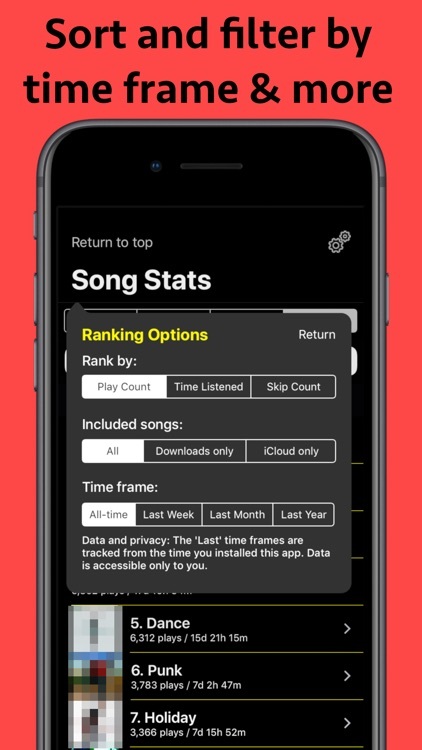 • View a daily play count graph for any song in your library. 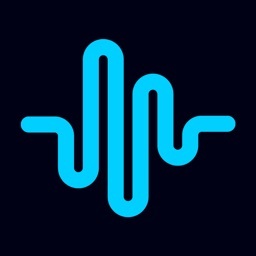 • Filter by the year you added the song to your library. 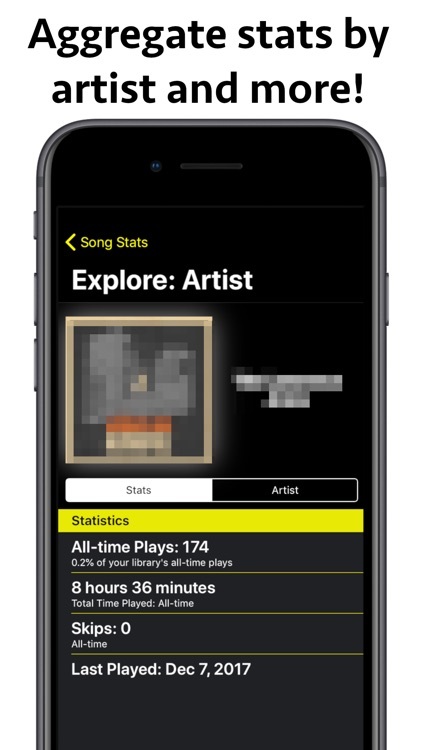 Note: The data for past time frames, and the daily play count graph, are available only from the time that you installed Song Stats. 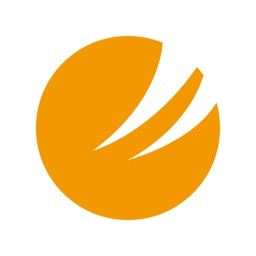 After the 1 week free trial this subscription automatically renews unless it is canceled at least 24 hours before the end of the trial period. 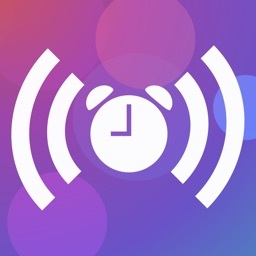 Your Apple ID account will be charged for renewal within 24 hours prior to the end of the trial period. You can manage and cancel your subscriptions by going to your account settings on the App Store. 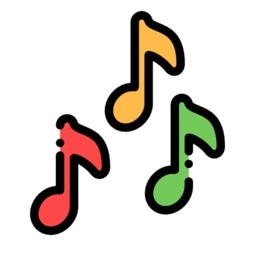 We reserve the right to add, remove, change, or modify any of the services provided by Song Stats.